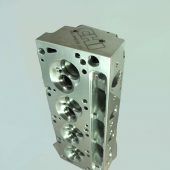 At CHI we have a Ford cylinder head for every application. 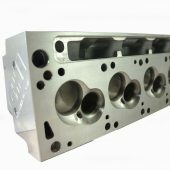 With no fewer than 5 different styles of cylinder heads for everything from a mild street cruiser to 700+hp race engines, we can tailor a combination to suit your needs. Designed to replace factory 2V Ford Cleveland heads CHI 2V’s represent performance levels not seen before from a standard 2V intake port location. CHI 2V’s are available bare or complete in as cast or CNC ported options. 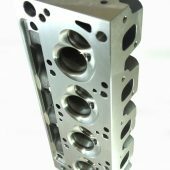 For optimum Ford Cleveland performance no other cylinder head can complete with CHI’s range of 3V heads, with over 100 different part numbers and options we have a 3V Cleveland to suit your requirements. Available as bare or complete heads, as cast or CNC ported. CHI 4V Cleveland heads are a true alloy 4V head designed to accommodate 4V intake manifolds. Essentially we have created a full sized 4V port with a port volume smaller than most epoxied 4V heads! Available as bare or complete, as cast or CNC ported.